We all want to hire the right people. Success stories across many industries show that a commitment to hiring the right people is what makes the difference between industry leaders and the rest. Even more, we need to hire the right people. A single misstep by an unqualified, unfit, or dangerous employee can bring detrimental or catastrophic results to brands, people, and profits. Despite the wants and needs, as you put practices in place to get the right people on board, it’s easy to find yourself walking a fine line between managing risks and protecting the privacy and employment rights of your candidates and employees. Those who stay within the line gain valuable insight to drive better hiring decisions. Those who cross it find unwanted consequences. In the quest to hire the right people, employers are faced with unprecedented challenges. The EEOC and other regulators are carefully examining employers’ use of criminal records, credit reports, and other screening and hiring practices to reduce discrimination and protect the rights of candidates and employees. Add this renewed attention to the already existing legal obligations of employers and what on the surface seems like a simple task is quickly muddled with complexity. Employment screening is not an optional exercise. When it comes to hiring practices, background screening cannot be considered optional. That’s because employers have a duty of care to hire and retain people who are fit and qualified for their respective roles. An employment screening program demonstrates your commitment to this duty. There are simply too many cases where a company’s failure to adequately screen its employees has resulted in expensive claims of negligence and damage to people, brands, and profits that could have been minimized or avoided with the right screening approach. Your background screening program will be put to the test. Does it promote fair hiring practices? Is the program integrated with existing onboarding processes? Is it easy to implement? Does the program deliver accurate and insightful data? Is it compliant with federal, state, and local laws? Does it support your corporate risk management goals? Does it deliver a measurable ROI? Clearly, background screening is more than a ‘check the box’ activity. It is filled with nuances, legal issues, and other considerations that can overwhelm even the most prudent manager. How to plan and budget your background screening program, including how screening fits into the recruitment process, how to assess your risks, how to map roles to screening activities, how to select a screening services provider, and much more. What you need to know when executing your employment screening program, including important considerations for FCRA and EEOC compliance, adverse action notifications, social media, and more. How to measure your success, including a useful worksheet to help you calculate the ROI of your program. The role of background screening in your recruitment process. How to integrate screening into your recruitment and onboarding processes. Training the people who will implement the program within your organization. Background screening as a risk management project. 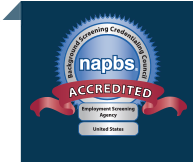 How to select the right background screening company. For instant access to Part 1, click here.